India, one of the fastest growing economies in the world, is achieving a growth rate of 7.5% per annum. With a growing population too, the country is working hard to transform itself over the next few decades. Improving public transportation is high on the agenda and Jaspal Singh, Head of the UITP India Office, writes that although private-vehicle ownership in India is growing and therefore causing major congestion problems in cities, there are however many plans to revamp bus systems and invest in metro networks. The cities of this diverse country and its urban population play an important role in the growth of the country. As per the 2011 census, 31.2% of India’s population (377 million) is living in urban areas. As the UN estimates, these numbers will grow to 40% (590 million) by 2030 and 58% (875 million) by 2050. While only 30% of the total population live in urban areas, approximately 63% of India’s Gross Domestic Product (GDP) is contributed by those urban areas1. Even with the current size of the urban population, Indian cities are facing a multitude of issues such as severe congestion; deteriorating air quality; increasing greenhouse gas (GHG) emissions from the transport sector; increasing road accidents; and an exploding growth in the number of private vehicles (largely motorcycles). With the urban population projected to more than double in the next generation, the situation could easily get out of control and thwart India’s economic development efforts unless remedial measures are soon taken. In a move to recognise and act upon urban mobility issues, in 2006 the federal government of India introduced the National Urban Transport Policy (NUTP), setting the policy framework for providing sustainable mobility for the future (see Figure 1). In 2015 the government unveiled its new plan to upgrade 100 cities into ‘smart cities’ and to ‘renew’ 500 cities. 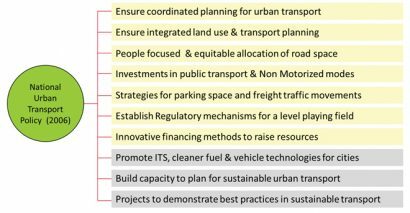 Figure 1: The policy framework of India’s National Urban Transport Policy (2006) to provide sustainable mobility in the future. The growth of vehicles has been much faster than that of the population. The number of registered vehicles increased from 55 million in 2001 to 142 million by 2011, with a currently-estimated 195.6 million in 20162. Seventy-five per cent of these registered vehicles (147 million) are motorcycles. Furthermore, the physical infrastructure hasn’t been able to keep pace with the growth in demand. The urban road length has increased from 252,001km in 2001 to 411,840km by 2011. In the last decade registered vehicles per million population has increased by 219% while urban road infrastructure per million only increased by 124%. This rapid motorisation has led to severe congestion, longer journeys and higher per capita trips. Indian roads are also popular for heterogeneity of vehicles sharing the same road space. There are around 32 different vehicle types in India such as bicycles, cycle-rickshaws, auto-rickshaws (‘tuk-tuk’), motorcycles, cars, buses and trucks. The rapid growth in private-vehicle ownership has led to increased congestion problems in cities. 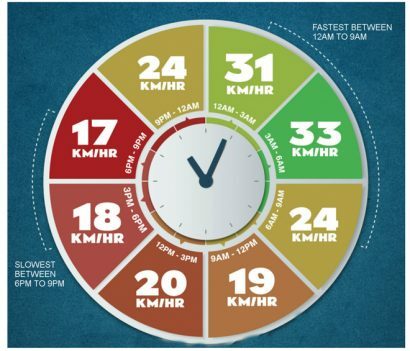 The average speed of a vehicle on Indian roads is just 17-19km/h between 9:00 and 21:00, with the slowest times witnessed during the evening hours. The average speed of traffic in key Indian cities is just 17-23km/h while the average cycling speed is 15-16kmph3. India recorded a total of 501,423 road accidents and 146,133 road accident deaths in 2015; this equates to 1,374 accidents and 400 deaths on India’s roads every day. Sadly, 54.1% of people killed in road accidents are in the 15-34 years age group. It is estimated that the economy lost around 3% of GDP (1999-2000) due to road mishaps4. In the Global Burden of Disease 2010 (GBD) study, ‘outdoor air’ pollution is among the top 10 risks worldwide and the top six risks in the developing countries of Asia. Air pollution has greater impact on developing countries such as India, as 1.4 million people lost their life due to air pollution; US$ 505 billion towards welfare losses; and US$ 55.4 billion towards lost labour5. 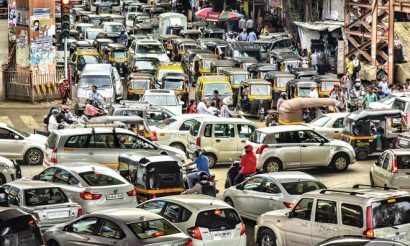 With population numbers growing and an increase in private-vehicle use, India currently experiences major road congestion on a daily basis. The share of public transport is decreasing in India. 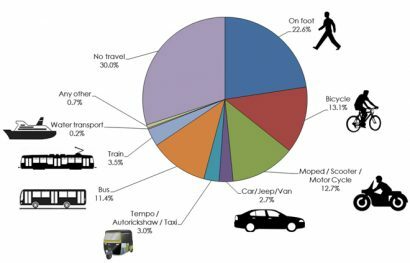 The federal government has recently published the results of the mode of transport people take to commute to work for the latest Census 2011 data in March 2016. According to the survey more than 50% of the workforce (excluding domestic and agriculture) continue to work at home or travel to their workplace by foot in the absence of adequate transport facilities. Citizens are largely dependent on private transport. The share of public transport is just 18.1% of work trips. The data indicates that there is lack of public transportation facilities and citizens are largely dependent on private modes of transport, such as bicycles (26.3 million) and motorcycles (25.4 million) in rural and urban India. More people use motorcycles than travel by bus (22.9 million). In 2015 the number of daily trips using a motorcycle for commuting was 35 million (excluding personal trips); this is based on the increase in vehicle registration. The federal government of India has launched two flagship programmes – 100 Smart Cities and Atal Mission for Rejuvenation, and Urban Transformation (AMRUT) for 500 cities that have a population of 100,000 or more, with funding of $8 billion and $8.3 billion, respectively. The smart cities initiatives focus on core infrastructure service, whereas, AMRUT will adopt a project approach to ensure basic infrastructure services. A ‘smart city’ is an urban region that is highly advanced in terms of overall infrastructure, sustainable real estate, communications and market viability. It is a city where information technology is the principal infrastructure and the basis for providing essential services to residents. Until now the federal government has shortlisted the establishment of ‘109 smart cities’ in India. The key idea of smart cities is the alliance of public services with an integrated public transport system. Information Technology, therefore, will play a crucial role in both integrating and automating these services. The 20 cities in the first stage will receive INR 2 billion (US$ 30 million) in 2015-2016 and INR 1 billion (US$ 15 million) every year for the following three years; a total of INR 5 billion (US$ 75 billion). State governments and respective urban local bodies will also contribute the same amount. Many foreign countries, including Japan, France, Germany, Singapore etc. have come forward to support the federal government’s plan to develop smart cities. 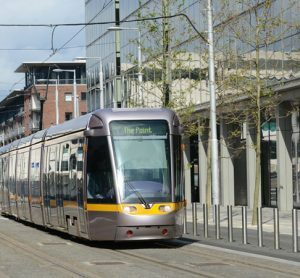 Smart cities cannot be built without smart public transport. Under the smart cities programme, the cities are required to build efficient urban mobility and public transportation by creating walkable localities, as well as promoting a variety of transport options. However, there is no clear guideline for developing a sustainable public transportation system. An urban transport system is subject to planning, execution and development by the states and union territories; hence, under the smart cities programme each city can prepare its ‘Smart City Vision’ document, highlighting the city’s vision and funding proposal. 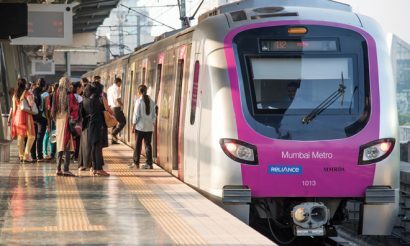 After the success of the Delhi Metro, lots of Indian cities are exploring the option of implementing metro rail networks. The Ministry of Urban Development (MoUD) estimates that there is approximately 316km of metro lines currently in operation and more than 500km of metro lines under construction across the country. This includes metro/mono rail systems promoted by state governments and private bodies. Delhi Metro is India’s largest and most successful metro system, carrying approximately 2.8 million passengers a day. Delhi Metro is the largest metro system with a total length of 213km, carrying 2.8 million passengers a day. 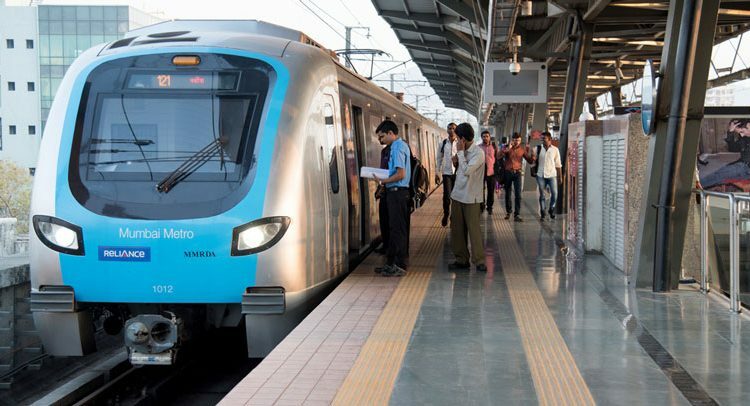 Some of the new metro systems are still facing issues with building ridership; for example, Jaipur Metro carries only 20,000 passengers per day, incurring a loss of INR 30 million (US$ 500,000) every month. Most of the systems are developed by public authorities with external funding and support from federal government. However, some of the cities have developed the system in partnership with private players e.g. Gurgaon (operated by IL&FS), Mumbai (operated by RATP) and Hyderabad (operated by Keolis – under development). In the Union Budget 2014-2015, the government emphasised that the planning of metro projects must begin now. The federal government has earmarked INR 100 billion (US$ 1.5 billion) for metro projects in the fiscal budget 2016-2017. Figure 2: How India travels. Buses are the most popular and convenient mode of transportation in urban cities. More than 1.6 million buses are registered in India, and the public bus sector operates 170,000 buses carrying roughly 70 million people per day. However, bus transportation has not been able to cater to the growing travel demand. There are only 30,000 buses serving the city areas, out of which approximately 3,500 buses are operated under a public-private partnership agreement. All bus operators are incurring huge losses and do not have funds for the capital investment needed to procure new vehicles and technology. The average age of the fleet ranges from two years to 11.8 years for state bus transport undertakings. The National Sample Survey Office (NSSO) carries out an annual survey of household expenditure on service and durable goods in India. As per the details of expenditure on transport, buses are the most preferred mode of transport in both rural and urban India, followed by auto rickshaws. The federal government launched National Urban Renewal Mission (NURM) in 2009 and embarked upon a massive programme of revitalising urban areas by allocating national funds to speed up the creation of much-needed infrastructure. The programme was split in two phases and was concluded in 2015. Approximately 222km of Bus Rapid Transit (BRT) systems are operational and the remaining 282km are under construction. MoUD has provided financial assistance to 11 cities for the construction of 504km Bus Rapid Transit System (BRTS). According to estimates from ICRA Limited (2016), 100 of the largest Indian cities require approximately $15.4 billion to procure 150,000 new buses and upgrade ancillary transport infrastructure. It will be difficult for state governments or local bodies to invest such a large sum without further federal government support. In order to generate more investment in the sector, the federal government has proposed to open the public bus sector to private companies. This will allow buses to operate on nationalised routes. According to the Road Transport Ministry, the opening of the sector will increase the passenger ridership to 120-150 million per day. The federal government has unveiled an ambitious project to replace all public bus transport fleets with hybrid technology. The government launched the full indigenous retro-fitted electric bus, converting existing conventional fuel buses into electric buses, developed by KPIT Technologies and Central Institute of Road Transport (CIRT). A main hindrance to the adoption of new technology is the financial implication and capital cost. 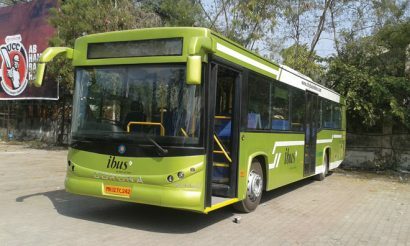 The average cost of a hybrid bus in India is around INR 23 million (US$ 375,000), compared to INR 9 million (US$ 150,000) for a premium diesel bus. 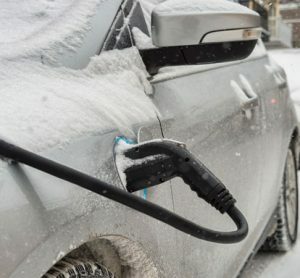 In order to incentivise the operators to procure electric and hybrid buses, the federal government has launched the ‘Faster Adoption & Manufacturing of Electric and Hybrid Vehicle (FAME)’ scheme to provide a subsidy of INR 6.1 million (US$ 100,000) for electric and hybrid buses. Currently Navi Mumbai Municipal Transport (NMMT) has procured five hybrid city buses from Volvo and MMRDA has procured 25 hybrid buses from Tata Motors. 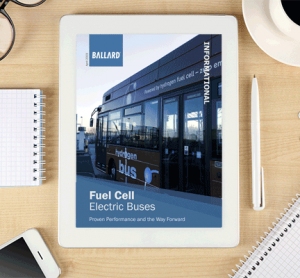 There are currently no fully electric buses in commercial operation. BYD has completed a pilot in Bangalore (2014) and Delhi (2016) to demonstrate electric bus technology. The Mumbai Metro currently has one line and 12 stations. There are plans to extend the network. IT solutions are important for public transport systems and information is becoming critical for any service planning. The key factors such as passenger demand; journey demand; service hour; and service frequency have great impact on the expenditure and revenue of any authority or operator. IT tools can also help to refine processes and improve efficiency. Smart transportation systems should have fleet management, ticketing, security surveillance, traffic management and real-time passenger information. The recent ‘Policy Road Map for City Bus Systems in India’6 study identified that most of the city’s bus operators are still lagging behind in the implementation of an IT system. The survey revealed that nine out of 12 cities have implemented a vehicle tracking system and 11 out of 12 have implemented electronic ticketing machines (ETMs). However, no cities have yet implemented ‘planning and scheduling’ or ‘depot management’ systems; with the majority using manual systems for such operations. The availability of real-time information is equally important for commuters to plan their journey. In the absence of good quality data, commuters aren’t able to obtain accurate service information. However, there are some third party mobile app providers that provide offline information to users such as Trafi and Moovit. Smart ticketing has been slow to gain popularity in India. 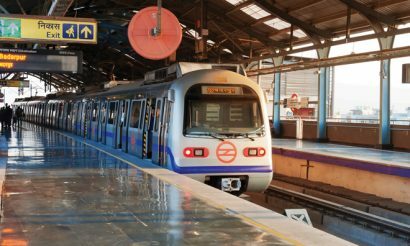 All metro systems have implemented smart ticketing solutions for its ‘closed’ environment; Delhi Metro sells approximately 16,000 smartcards a day and 1.8 million commuters use the card daily. However, the smart ticketing systems are not yet integrated with the bus system. The federal government did make plans to introduce a Smart National Common Mobility Card (NCMC) to enable seamless travel using different modes of transport across the country as well as having retail purchasing benefits. However, the initiative did not take off. In July 2015 the government established a committee to recommend an inter-operable smartcard. In June 2016 Bengaluru Metropolitan Transport Corporation (BMTC) became the first city in India to launch the Axis Bank BMTC Smart Card – an open loop EMV contactless smartcard. However, the system is not integrated with other modes such as metro. Mumbai is another example that has various modes of public transport including suburban railway lines, metro, buses, taxis and auto-rickshaws. The Mumbai Metropolitan Region Development Authority (MMRDA) has appointed London’s Transport for London (TfL) to prepare a detailed plan for an integrated ticketing system in the Mumbai Metropolitan Region. An integrated system is planned to be rolled-out by 2018. Figure 3: Travel to work by modes of transport, 2011. 100% = 200.4 million. The Ministry of Road Transport and Highway (MoRTH) has launched the “Passenger Mobility Enhancement” project in partnership with the World Bank. The federal government will be launching a scheme to encourage state bus transport undertakings to reduce their losses by investing in the technology. The operators will need to commit the reduction in the loss and the federal government will give funding. The federal government has decided to shift to Bharat Stage VI (the equivalent of Euro VI) emission standards for various category vehicles by 2020. The decision has been made to leapfrog directly from Euro IV emission norms for petrol and diesel to Euro VI standards. This is a great move and demonstrates the commitment of the federal government to curbing air pollution. Figure 4: Rural vs Urban India. Source: NSSO Annual Survey 2014-2015. The development of waterborne transportation is one of the key priorities of the federal government in India. The 2016 National Waterway Act was enacted in March 2016 to regulate the development of 111 national waterways, out of which 106 are new national waterways. Currently India is conducting only 3.5% of trade through waterborne transport, compared to 47% in China; 40% in Europe; 44% in Japan and Korea; and 35% in Bangladesh. India still has much ground to make up to achieve efficient and sustainable city public transport systems. The public infrastructure will improve the mobility of people and will open the door to new economic opportunities for the country. Investment in public transportation has a multiplier effect for the economy. 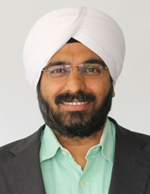 Jaspal Singh is an Urban Transport Expert and is currently working as Head of the UITP India Office. He has been working with UITP since 2013. He has more than 10 years of experience in urban transport and management consultancy roles. Prior to UITP Jaspal founded a consultancy firm which is engaged with companies in the areas of bus transport; tara-transit; transport planning; and intelligent transport systems. Previously Jaspal was Deputy Manager at Delhi Integrated Multi-Modal Transit System Limited – a joint venture of the Government of Delhi. He is also subject matter expert on taxi transportation and has been widely quoted in national and international publications. Jaspal has received several awards for his contribution to the field of public transport and social work. Very good article and insightful too, I will be more interested in terms of how the country integrates smart cities into public transportation. This is truly awesome post to discover emerging trends in public transportation in India. Glad to know interesting facts about metro system. Thanks for sharing. The following was sent to UITP headquarters and may be of great interest to you. India is in the position to advance the APM technology which would make a significant difference in the lives of your people. Feel free to contract me if I can offer assistance. 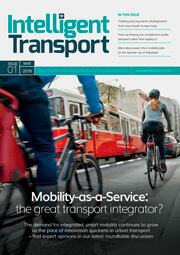 “UITP has focused on addressing the need for more efficient urban transportation. Unfortunately, advances in this urban transit has been evolutionary with little hope on the horizon for new technologies that can make a significant difference. We still rely on the “wheel” as the basis of all urban transit. 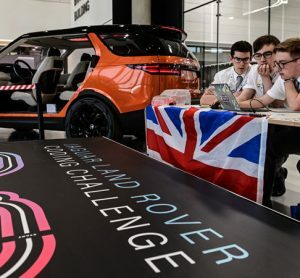 Fortunately there seems to be a synergistic conversance of existing technologies that can be combined to create a totally new form of urban transit. These technologies include Artificial Intelligence, new aerial ropeway designs (Doppelmayr 3S at Sochi-Olympics), linear synchronous motors (LSM), network communications and RFID. I am a consulting engineer living in Colorado USA that has specialize in aerial ropeways for the past 40 years. My clients are major ski resorts and international lift manufacturers. The APM concept is well researched and was presented at a technical symposium sponsored by OITAF-NACS. This is an international organization of tramway engineers and ropeway manufacturers. The group is supportive of the concept and is confident that there are no technical challenges related to the constructing such a system. The problem with advancing APM is exposure and the lack of a single industry that has the capability of combining the needed technologies to bring it into reality. In addition, the development of the APM requires major governmental commitment for research, development and implementation. This will not happen in the United States.